Dreamland in Margate, Kent, reopened on the 19th June 2015 with the support of the local council and British designer Hemingway Design, renowned for its savvy regeneration of vintage seaside towns. 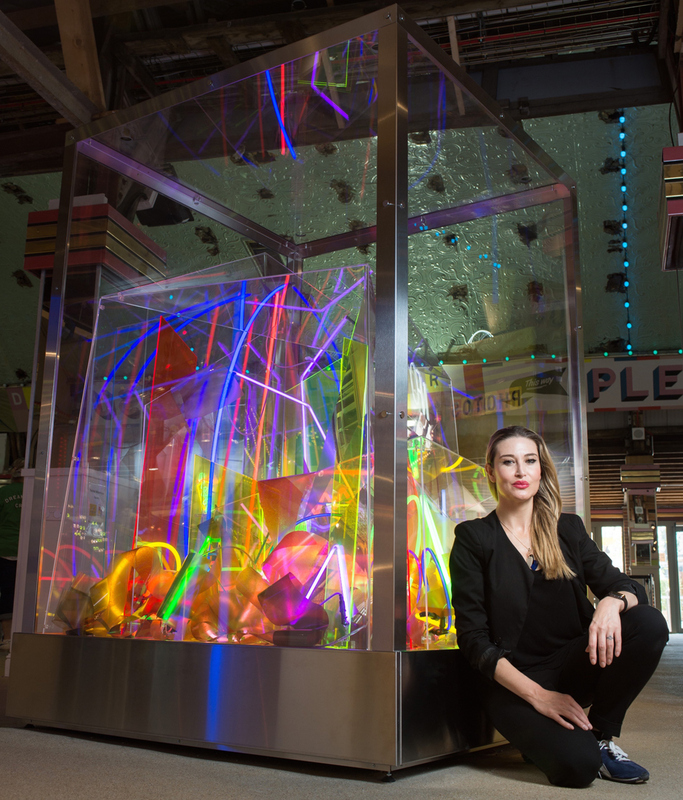 This re-imagination of the historic theme park included the eclectic project Solaris by British visual artist Rachel Wilberforce, which can be found in the Arcade Hall. Wilberforce's Solaris has been used in the music video of Marina and the Diamonds - otherwise known as Marina Lambrini Diamandis - who filmed her 2015 song 'Blue' at Margate's Dreamland. Paying homage to what is considered Britain's oldest amusement park, Wilberforce has fused heritage with contemporary design. 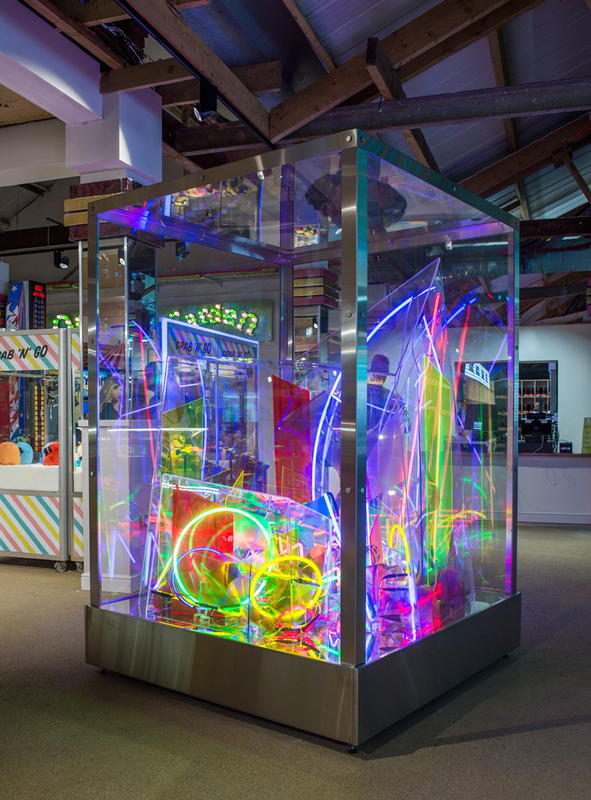 Salvaged neon-coloured lights sourced from the original Dreamland site have been arranged within the clear Perspex sculpture with an outer arcade casing to create a symbiotic relationship with the surrounding arcade games. 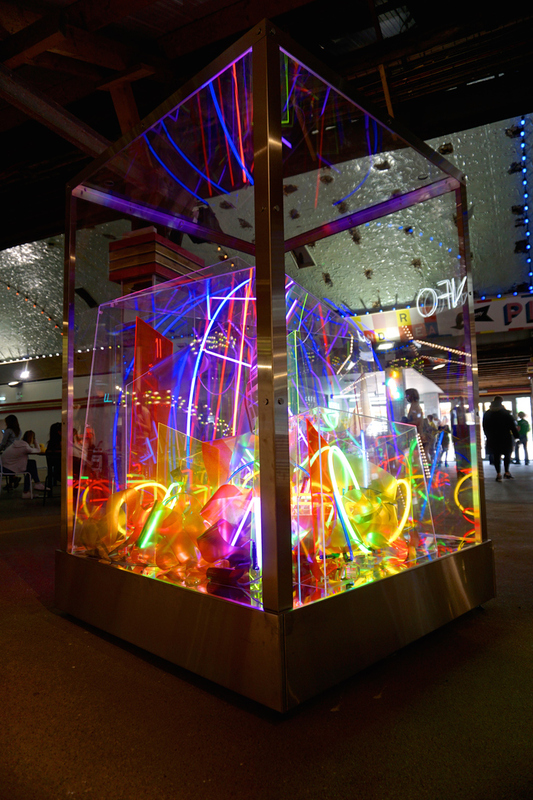 The colourful glass tubes create a warm glow and have been interspersed with transparent prints of everyday places to embed the site's legacy into the sculpture. The piece is active and inviting with its vibrant luminosity dancing around Dreamland's Arcade Hall. Wilberforce often works with spaces and projects of 'otherness', delving into the modern subjectivity of the relationship between everyday and other space. Wilberforce is inspired by philosopher Michel Foucault, who explored the concept of heterotopia. 'Being a part of the re-imagined Dreamland, Margate has been an adventure and a privilege. For me, the physicality and ideology of Dreamland beautifully encompasses the everyday and other space I seek out in my practice as an artist.